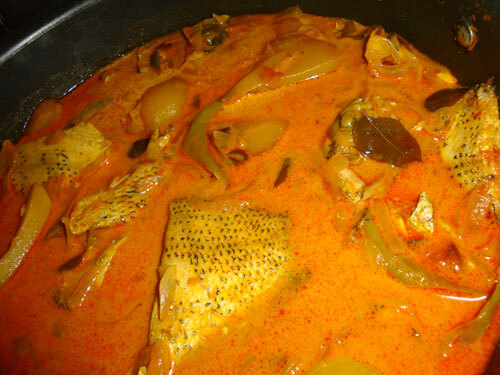 ‘Karimeen Curry’ is an authentic Kerala Fish Curry. It is one of the tastiest Fish Curries I have ever made! 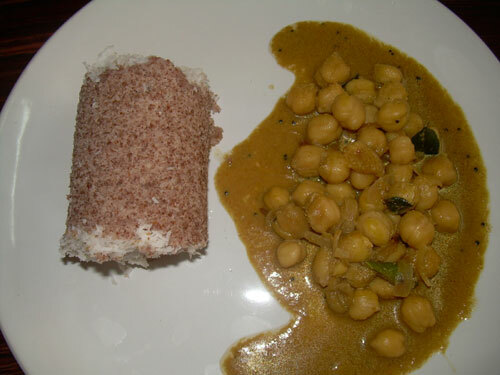 I usually make it with Mangoes but you can also use Kudampuli, Tamarind or Tomatoes. It goes very well with rice, rotis and bread. So dear friends make ‘Karimeen Curry’ and enjoy a delicious meal!!! Heat oil in a pan and add onions, ginger, garlic, green chillies and curry leaves. Saute till the onions turn light brown. Add the spice powders and fry for few seconds. Then add the thin coconut milk, water and salt to taste. Mix well, close the lid and allow it to boil. Open the lid and add the fish pieces and mangoes. Cover and cook on a medium flame. When the fish is done and the oil starts to float on top, reduce the flame and add the thick coconut milk. Gently twist the pan so that the coconut milk mixes well with the curry. Switch off the flame before it starts boiling. Serve it with steamed rice! I used store-brought coconut milk for the recipe. You can dilute it with water to get the thin coconut milk. Coconut milk powder can also be used to make coconut milk. I used ‘chenacha manga’/ semi ripe mangoes to make the Curry which made it even more tastier! Thanks a lot, Nags! mine too…! Oh My God..I crave for so me..I dont get them here.perfect for luch..looks delicious and yummy..torture too for any keralite. Wow karimeen curry is one of my favourites! Wish I could get it here! 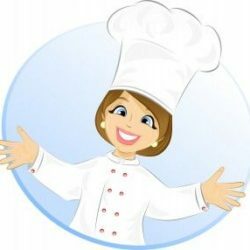 Pooja, don’t worry…just try it out with Tilapia or Pomfret. Hope you can enjoy the curry that way…! Thank you Preety for your kind words! 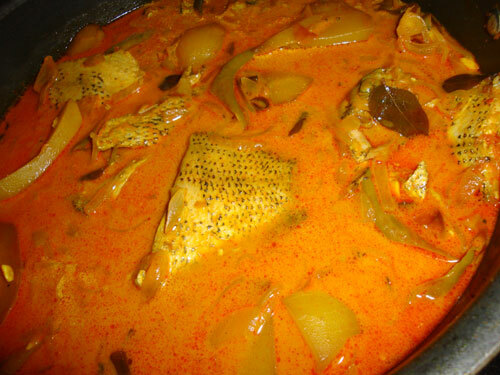 karimeen curry looks yummy and delicious. Thank you Prajusha! I know, you too are a fan of Karimeen Curry! Wow!! One of my favourites!!! Looks so yummy!!! reminds me of My grandmom’s curry!!! And Pooja…you will get Karimeen here in US under Narmada brands…just try in some indian/kerala stores.. Thanks a lot Preeti for your kind words! i am going…i can’t contol…wat a mouthwatering presentation…!!! hey Sangi, you make me happy…! 🙂 thanks a lot!!! Awesome !!! Tried it y’day & it turned out just as good as u had promised. Thank u so much.